Define: Oyster. Bivalve mollusks with rough irregular shells, often served raw as a delicacy! This Ottawa 2017 event was an opportunity for foodies from Ottawa and beyond to sample the best oyster’s our nation has to offer. From Nova Scotia to British Columbia, this event wowed guests allowing their taste buds to travel to different parts of our waters to taste the differences of what Canada has to offer. I am an avid consumer of these luscious gems of the sea, this event was right up my alley. I kicked off my adventure in Nova Scotia. The Pristine Bay oyster has a smooth brine taste and a deep cup. From there I visited Prince Edward Island. The Conway Cup from Cascumpec Bay are from just north of Malpeque offer a moderate amount of salt flavour. Then off to Québec. The beautiful Trésor du large from the Magdalen Islands offered a nice salty brine and a slightly sweet meat, making this oyster my pick of the night! I then hopped back over to New Brunswick. The French Kiss from Miramichi Bay is a Beausoleil, yes they named them after myself, allowed to grow an additional year or two. If you’re familiar with the Beausoleil oyster, it’s appearance is very much the same. It was time to make my way to the Canada’s west coast to British Columbia. The Effingham Inlet from Barkley Sound, Vancouver Island are grown in the deep warm waters and tumble frequently. These are one of the hardest oysters to shuck as their shells are very brittle. 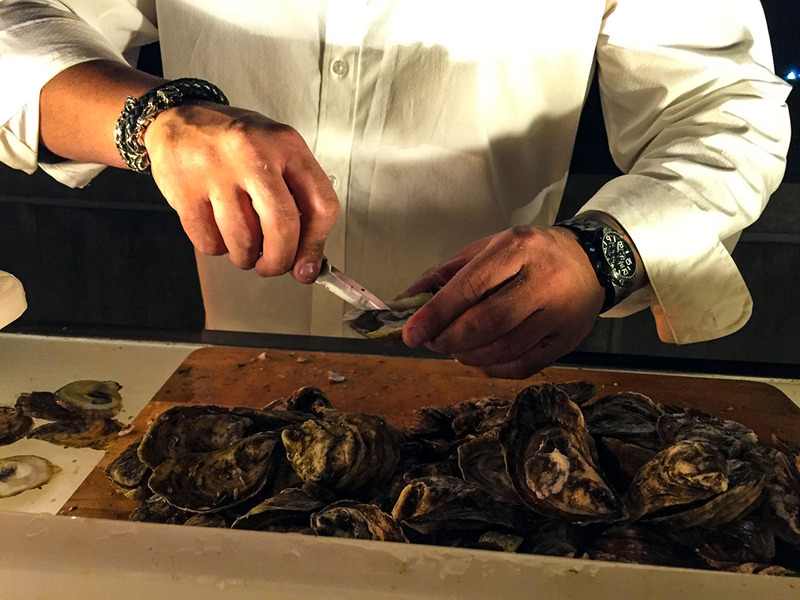 It was no small task to shuck over 3,600 oysters and that is why the Chef Jason Nagy and his Shuck Me! team from Montréal, QC were called upon. Visit Ottawa2017.ca to view the remaining events for this celebratory year!